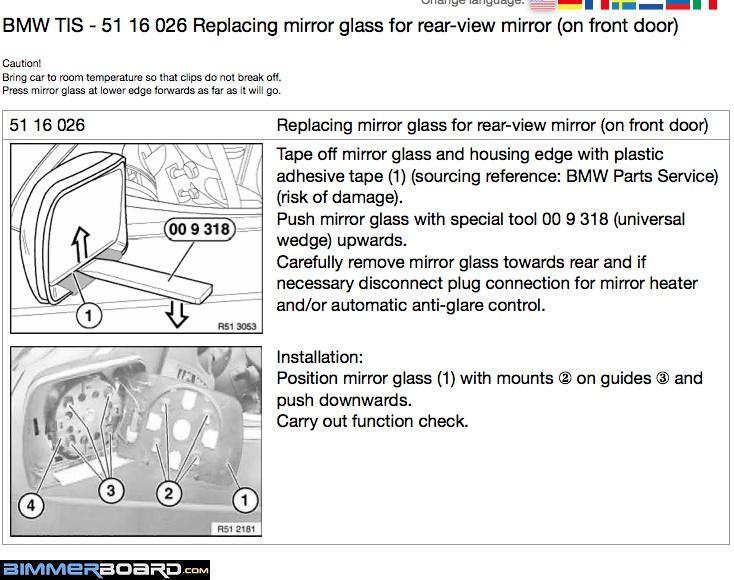 Are you referring to the mirror glass...or the mirror assembly (housing)? superglue that fucker back together then! In order for super glue or any other adhesive (applied to the back of the mirror glass) to affect the electrochromatic action of the mirror...the mirror would have to be compromised...and if the mirror is compromised, the fluid inside the mirror would be leaking out...and if the fluid was leaking out...the mirror would have lost its reflective properties. You can see the back of the mirror glass in the pic I posted above...the mirror glass is already adhered to the plastic that mates with the round plastic disc that is mounted to the motor assembly. If your glass is coming loose from that round disc...it needs to somehow be re-adhered. Last edited by Qsilver7; 06-20-2013 at 03:03 AM. I think you misunderstood what I wrote....I previously wrote, "the mirror glass is already adhered to the plastic that mates with the round plastic disc " ...if your mirror glass is "coming loose from the plastic"...it was originally adhered to the plastic...so using a product to re-adhere it to the plastic shouldn't compromise the auto dimming feature. Again, the electrochromatic glass has some type of fluid inside it...you'd have to compromise that fluid to ruin the EC feature of the mirror. Applying glue to the back of the glass to re-adhere it to the plastic should be okay. BTW, a picture is worth a thousand words...if our suggestions aren't making sense to you...perhaps we don't understand fully what the problem is...and an image would allow us to see what you're seeing.